Brighten up your winter with fresh citrus! An abundance of citrus fruits are available in grocery stores this time of year. Their bright colors greet you as you walk into the produce department. Use these fruits to escape the January blues and add some color to your cooking and your kitchen! Citrus fruits can help you get back on track to a healthy lifestyle after the holidays. They’re also a fun way to splash some freshness and color into a mundane winter menu. Along with being delicious and refreshing, citrus fruits are full of vitamin C. Citrus fruits also promote heart health and reduce the risk of some chronic diseases. They have been known to aid in cancer prevention and are useful in diabetes sugar level control. Other important nutrients found in citrus fruits are fiber, folate, lypocene, potassium and vitamin B6. Citrus fruits are also objects of beauty and decor. A bowl of fresh fruit makes a great centerpiece. It can also remind you that selecting a piece of fruit rather than candy or cookies is a wise choice. It is smart to keep fresh fruit within reach to encourage daily consumption. USDA’s MyPlate recommends eating 2 cups of fruit every day. This may be in the form of juice, fresh, canned or dried fruits. Here are some quick ways to increase citrus fruits in your daily diet. •	Add oranges and lemons to water to allow infusing overnight. •	Eat half a grapefruit every morning for breakfast. •	Have a citrus snack every day. Throw an orange or clementine in your purse or bag on your way out the door. •	Top veggies or salads with a fresh squeeze of lemon to enhance the flavor. •	Prepare entrees centered around a citrus theme. 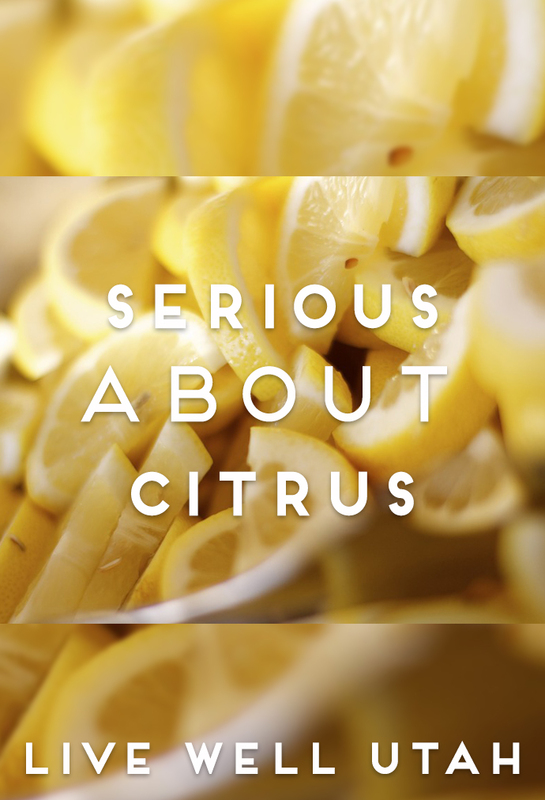 Below you will find recipes for a salad, an entrée and a dessert all focused on delicious citrus. Enjoy!